We buy, remodel, and sell real estate to improve our communities and help local investors participate in the real estate market right along side us. We provide honest solutions for investment property sellers who need to sell fast and investors looking to grow their real estate investment portfolios for better returns. Need to sell your house fast? 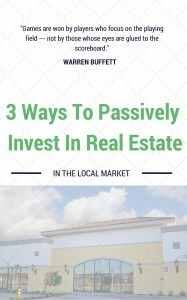 Equity Estates is becoming a popular real estate investing group because we focus on doing things the right way. We specialize in buying distressed properties (multi-family, commercial, retail, single family, bank REO’s, and of course sellers who need to sell fast). We also work with sellers who just can’t or don’t want to sell through a real estate agent. A big passion of ours is transforming the communities we work in by helping people get out of tough real estate situations. This usually involves buying and repairing unwanted houses while helping new home owners buy their first home. If you have ever sold a house the traditional way with a real estate agent, you know it is a long process that takes months. Additionally, assuming your house needs some work, selling your house as is can greatly reduce the number of potential buyers for your property. Most people want a “move in ready” house. Other issues you may run into by selling your property the traditional way include bank loans falling through, inspections taking forever, and turning up issues that will cost you more money and all the while your stress level keeps going up and up. Why even deal with all of the uncertainty and headaches of that problem house when we buy houses in New York, New Jersey, and Pennsylvania, and can buy your house today? Here at Equity Estates we work differently. 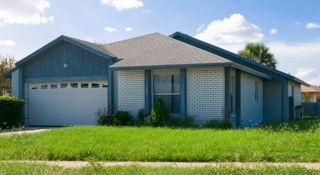 We will give you a competitive all-cash offer for your house in an efficient and expedite manner. Our cash offers allow us to avoid bank delays and close quickly so you can get your money fast. You can leave the house as-is and we will take care of all the repairs. We buy houses New Jersey for cash and have the ability to close quickly. We are a serious wholesale cash buyer that pays you a fair purchase price, requires no appraisals, no traditional lender-required repairs, and we charge NO FEES. 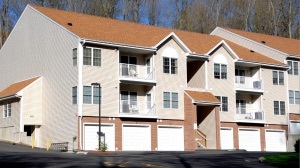 We are looking to buy all types of property in any condition in the tri-state area. If you are looking to sell a New Jersey home quickly, we would like the opportunity to make a fair offer on your house. We can have an offer in your hands within 72 hours. Give us a try by clicking the link below. Being one of Buffalo’s premier real estate investment companies we run across a lot of great investment property deals in Buffalo and around New Jersey. Our Early Alert Property Buyers list gets first access to New Jersey investment properties for sale before we list them on our website. We work with qualified local investors who want to leverage real estate to help you diversify your portfolio and earn solid returns. From buying New Jersey properties from us, to joint venturing with us on real estate projects, to debt investors looking for a consistent return…we have options that you may be interested in. We are also seeking private money lenders to partner with us. Private money loans are given to real estate investors and secured by real estate. Private money investors are given a first or second mortgage to secure their investment and legal interest in the property. We are currently giving private money lenders an opportunity to contribute funding to the development to our current projects. As a result, lenders can yield extremely high interest rates that can be 4 or 5 times the rates you can get on bank CD’s and other traditional plans. It’s a great way to generate cash flow and produce a predictable income stream while concurrently producing excellent security and safety for your principle investment.